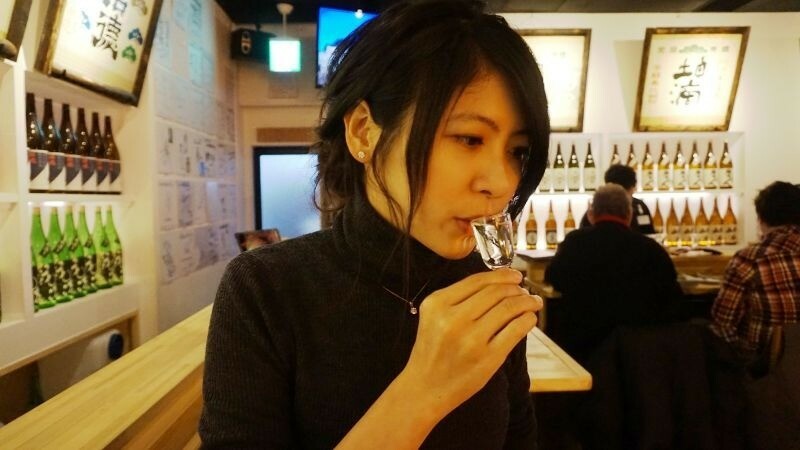 Vanessa’s tipsy excursion to the home ground of sake in Kyoto, Fushimi Chushojima! 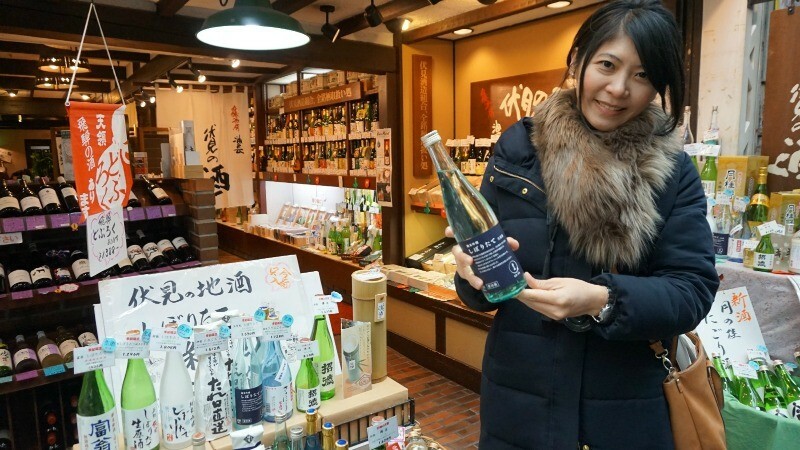 You can find out a lot about sake in Fushimi Chushojima, and in this half-day excursion to this sake area of Kyoto you’ll find the best way to tour the distilleries! How should one go about planning a sake-fueled day in Fushimi Chushojima? Many people must have this problem. 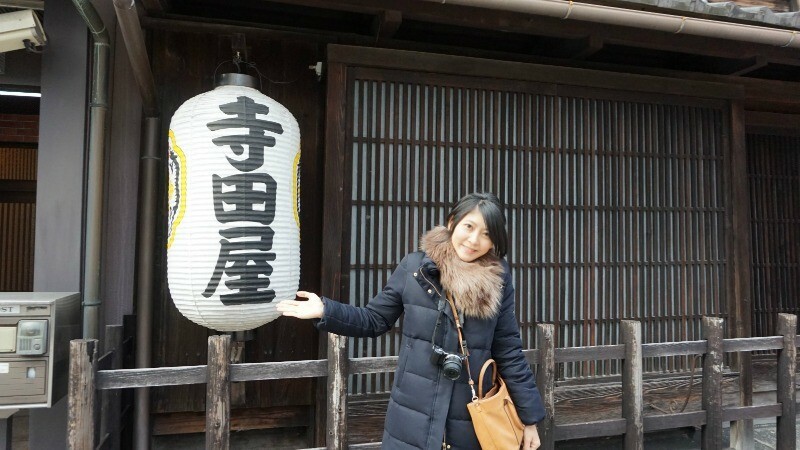 This is why Vanessa decided to go to Fushimi Chushojima herself and find out what’s the best way to see the sake distilleries of this area! 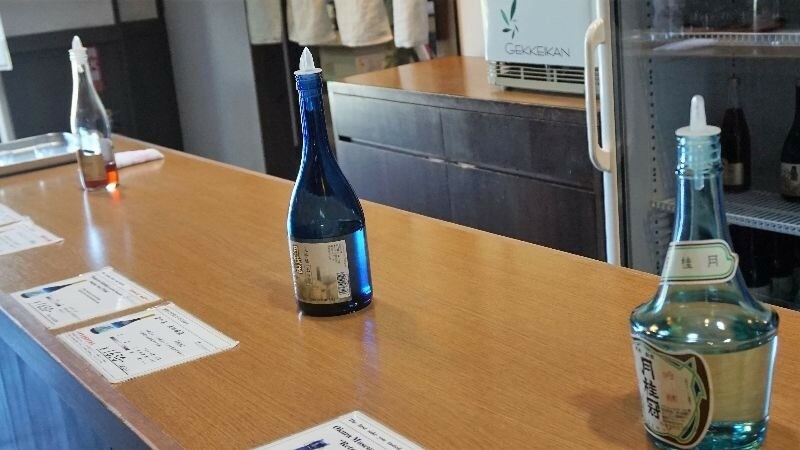 You can start the morning by going to a temple or two, or even to Fushimi Inari Shrine, but you should plan to spend the afternoon with sake in Fushimi Chushojima. 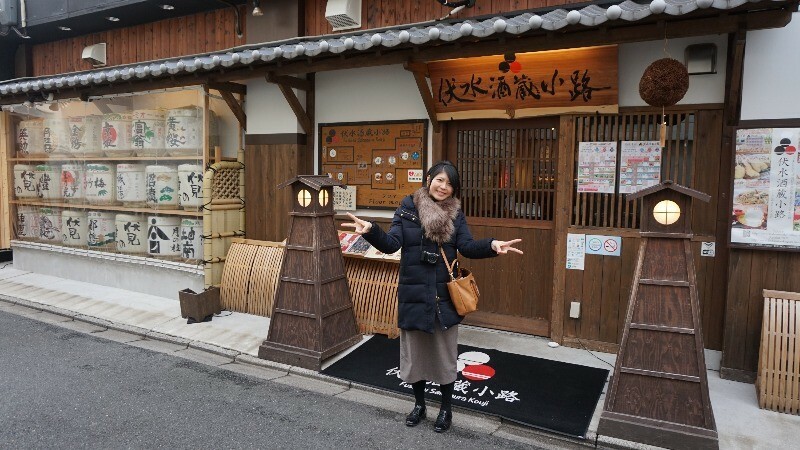 Because the water of this area is pure, the sake make here also tastes great, and you can find such famous places as the Gekkeikan Okura Sake Museum, Teradaya, and many places selling sake, so spending half a day here is easy! The place is also very retro and has a calm atmosphere, so it feels very traditional. Put some walking shoes on and do as Vanessa does: say kampai with a cup of sake! 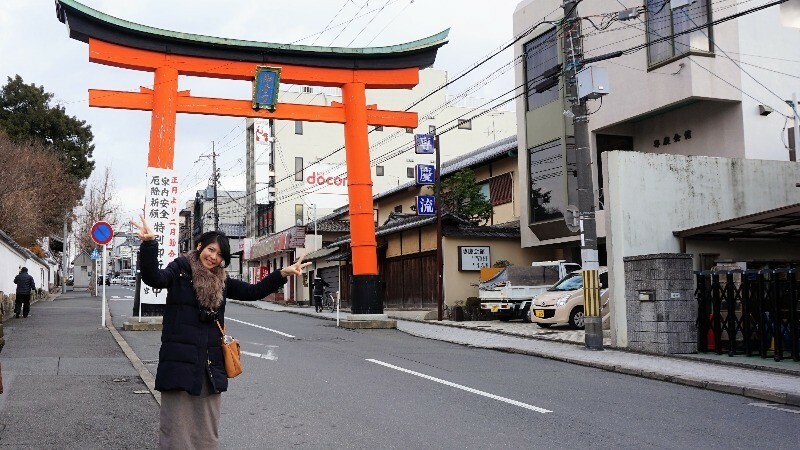 Take Kintetsu to Momoyamagoryo-mae Station or Keihan to Fushimi Momoyama Station, and from there you can soon see the stately sight of this big vermilion torii gate in the middle of the road. 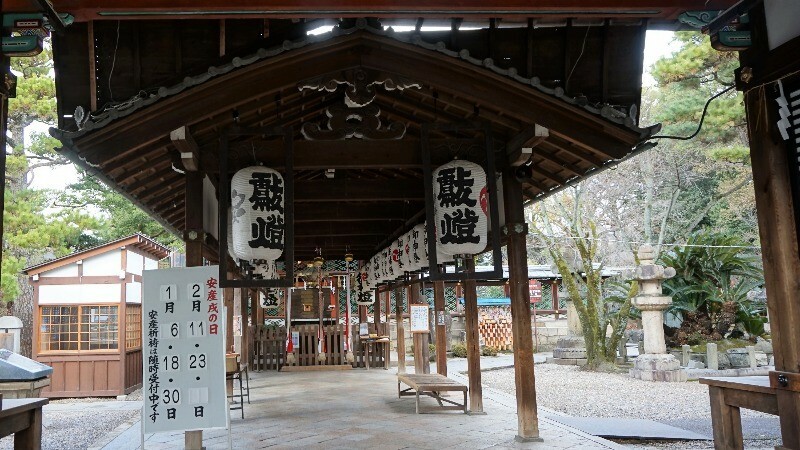 Gokonomiya Shrine enshrines the goddess of safe birth, so many pregnant women visit this shrine praying for just that. The well of the shrine is known for the purity of its water, and many parishioners bottle the water of this well to take home with them. Open from 9 a.m. to 4 p.m. If you come to Fushimi Chushojima, the most famous place you can visit is, of course, the Geikkeikan Okura Sake Museum. They have everything in English and Chinese too so you can learn how sake is traditionally made. After you have seen the museum part, you can try three types of sake for free (you can probably guess that this is my kind of a museum). If you find a type of sake you like, you can buy a bottle of it here too. 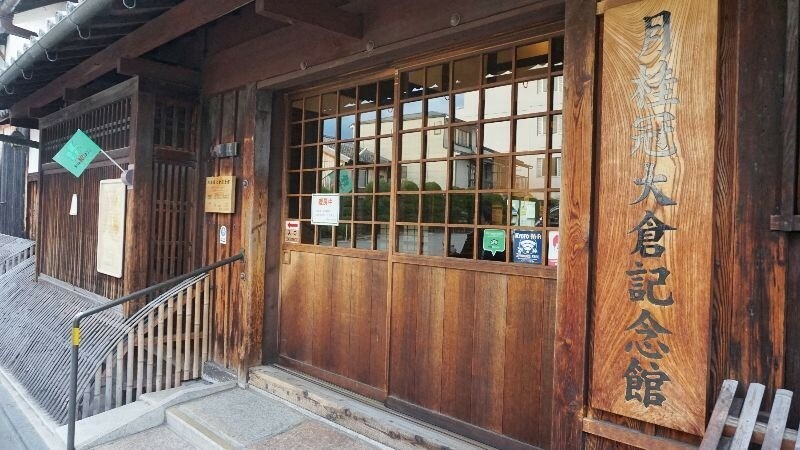 Teradaya is an inn that had been in the business since the Edo period, and its known as a place that was loved by the famous Sakamoto Ryoma, and this inn is also the place where the “Teradaya Incident” took place. 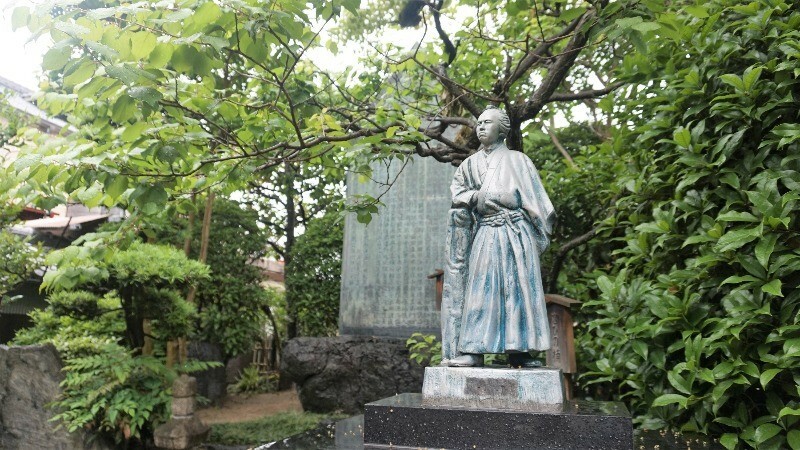 At the inn, you can find a statue of Sakamoto Ryoma, and even to this day, you can see what kind of marks the battle of the Teradaya Incident left to the buildings. There is something romantic about this inn too, as it’s the place where Sakamoto Ryoma first met his wife. After doing some sightseeing, it’s time to go back to the main part of this excursion: sake! So this means heading to the shop of Kizakura, a famous sake distillery in Kyoto, called Kappa Country. 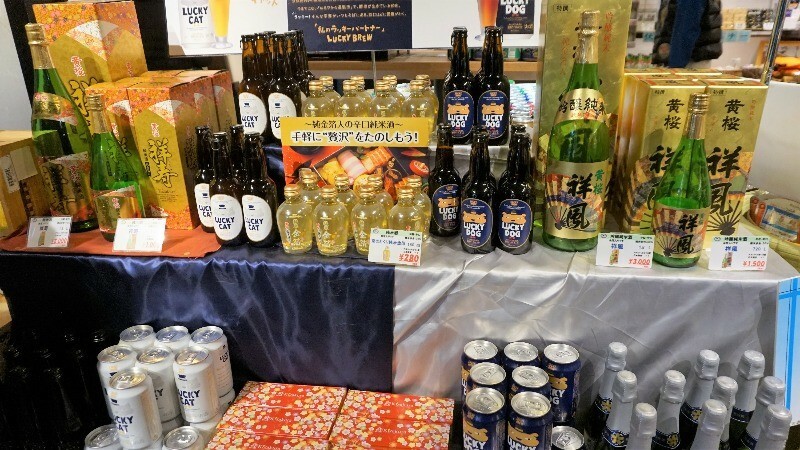 They sell all kinds of great alcoholic souvenirs for you to take home, and some of their sake and beer can only be bought here. The most special thing here in my opinion are these cans of special beer called Lucky Dog and Lucky Cat, so I had to buy both of them. Going this many brewery shops means that you end up buying quite a lot of alcohol! 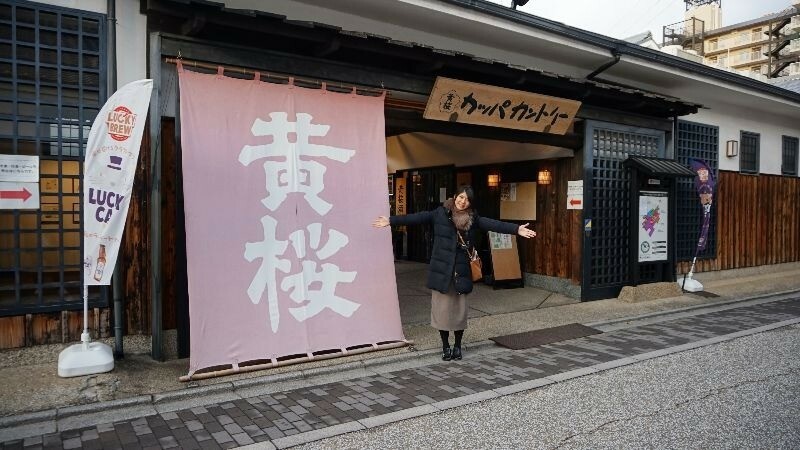 It’s not been long before this place opened, but already it’s become one of the main destinations in Fushimi Chushojima if you want to have some delicious food with great sake. 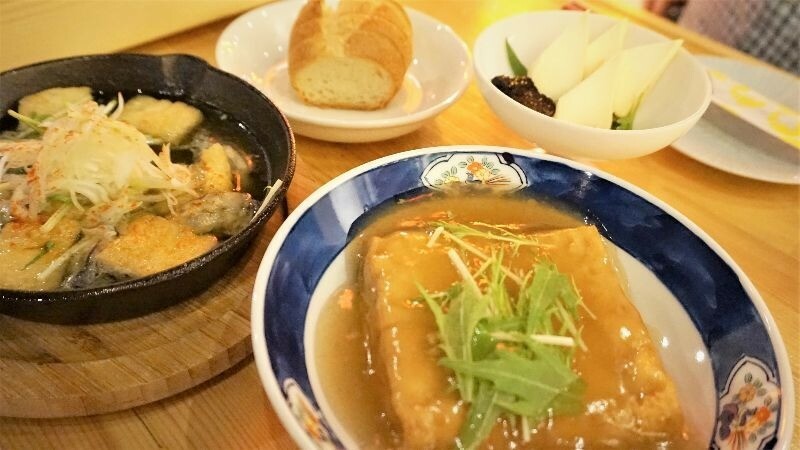 You have many choices: ramen, tsukemono, Italian, and of course the normal izakaya fare. You can also order this set of 17 types of sake! It’s really a sight to behold, and you’re bound to be surprised the size when you actually see it! Can you really drink all of this in one sitting? Yes, since the amount of sake is surprisingly small, in 17 glasses you have only 2 go (360ml) worth of sake. But still, this set might be better shared with someone. I liked the one I tasted first the best! They also have a sheet with explanations of all the types of sake you’re drinking, so you can go to a sake shop and buy the one you liked the best! Some dishes are on the bar counter, and you’re free to choose whichever you like, but you can also order something from the different pubs in the complex, and they will bring the food for you to enjoy. Open: 11:30 a.m. to 11 p.m.
After drinking a lot of sake, you have to buy some to take home too. So I left Fushimi Saka Gura Koji behind me and headed to the shopping street of Fushimi, where I found a shop selling 80 types of sake called Ginjo-shubo Aburacho. Seeing this many bottles of sake on the shelves is something else! 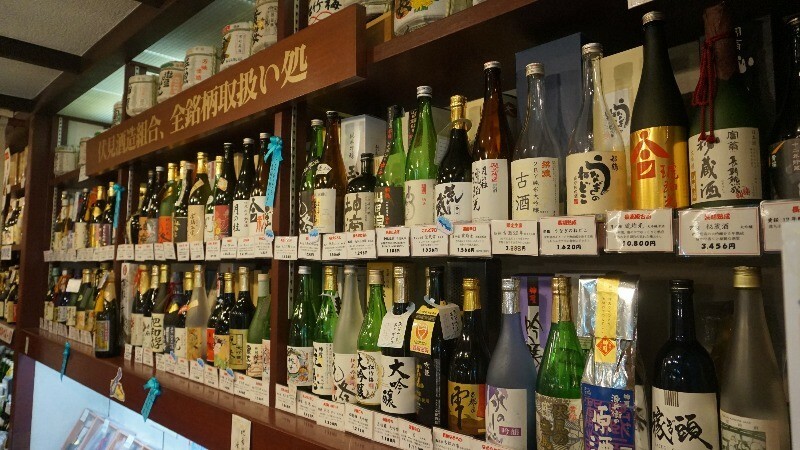 They have many local favorites like Gekkeikan and Tama no Hikari, so choosing shouldn’t be difficult, but you can also taste many of the sake sold here. I want to recommend Tsuki no Katsura’s Hofuku Zetto, the slight sweetness of it makes it a nice started even for sake-beginners. After going around Fushimi Chushojima, and having visited many sake breweries, it’s time to head back home with the many sake bottles bought at them. No matter whether you talk about the food or the breweries, this retro part of Kyoto is sure to leave you satisfied! So start the day with Fushimi Inari and then head for an intoxicating afternoon in Fushimi Chushojima! If you want to know more about sake, then I recommend you head to Fushimi Chushojima, and especially Fushimi Saka Gura Koji! 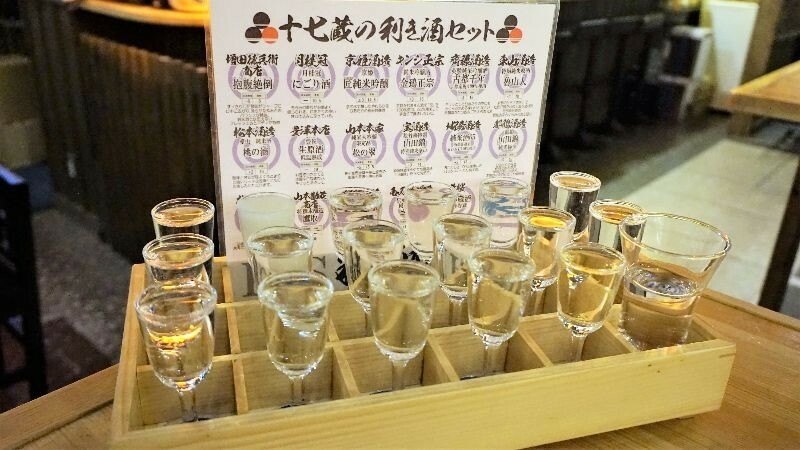 Not only is the food good, but you can also try 17 types of sake. So after doing this, I of course bought some sake to take home with me! The historical feel of the area, especially the relations of Teradaya with Sakamoto Ryoma is sure to interest history buffs. Fushimi Chushojima is not far from the center of Kyoto, so I wish you’ll head there to have some great food and even greater sake!